How does the Chinese manufacturer's flagship stack up next to the latest phones from Samsung and Apple? 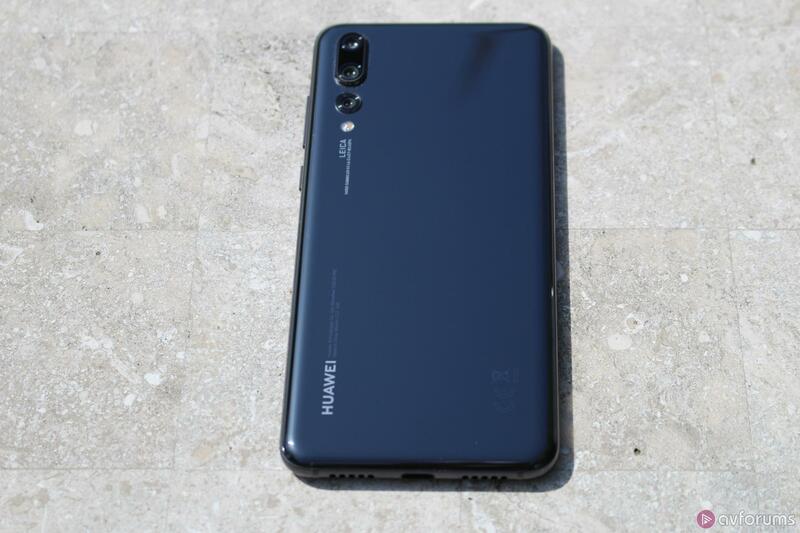 This is the latest smartphone from Chinese company Huawei – there's also a slightly smaller version, called the P20. Huawei (pronounced Hwah-way, which if said too quickly can make others around you think you've sneezed) makes phones which are stuffed with features and often keenly priced. 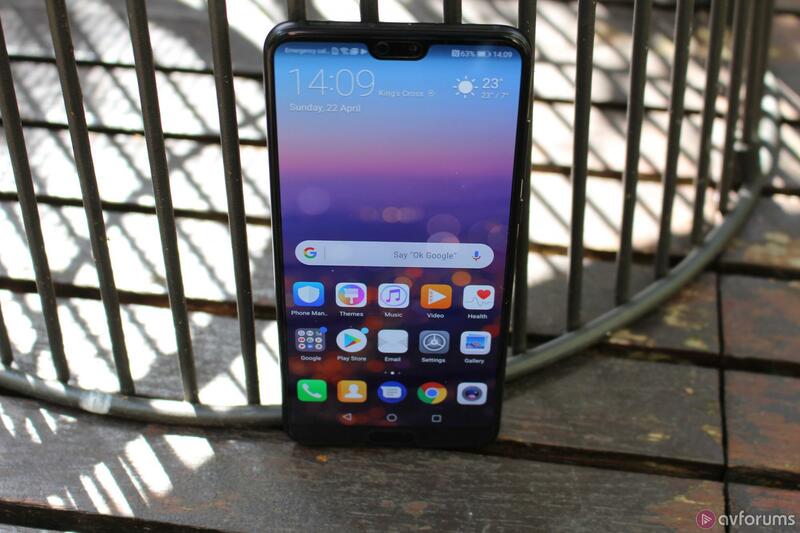 The P20 Pro is the successor to last year's P10 and P10 Pro – don't worry, you haven't missed ten years, Huawei has jumped ahead in its numbering, perhaps to indicate that this phone is a long way ahead of its previous phones. Well, it's arrived at a time when there are a lot of premium smartphones to choose from. You can read full reviews of the iPhone X and Samsung Galaxy S9+ here on AVForums, but because they are such key competitors, this review will include comparisons, too. If you like the design of the iPhone X, chances are you'll like this one. 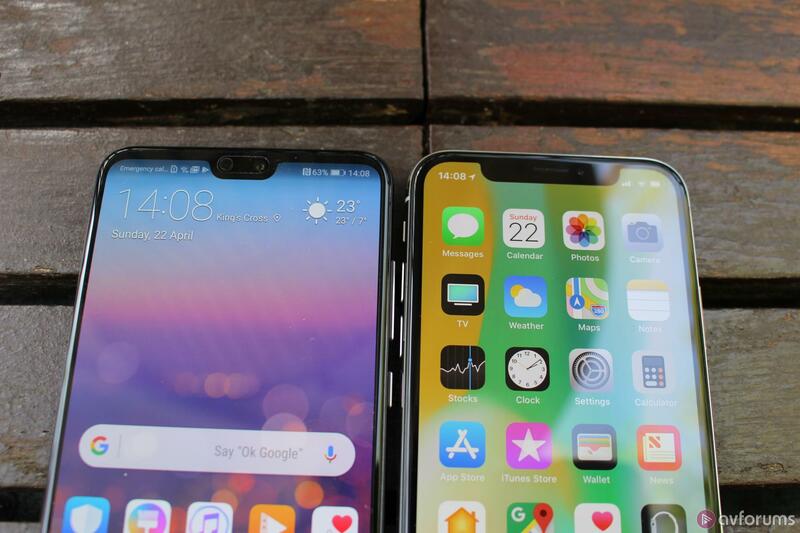 Huawei has been criticised in the past for designs which are imitations of Apple's handsets and there are similarities here. Take, for example, the vertical arrangement of the twin rear cameras, the gently curved phone edges and even, get this, the notch at the top of the display where the camera sits. There are differences, of course, such as the fact that though the smaller P20 has twin cameras, the Pro version sports three rear cameras, which is a first. And the notch is much narrower than on the iPhone, not least because it doesn't include the complex tech that powers facial recognition on the iPhone X. Mind you, this phone, and the Samsung Galaxy S9+ can all be unlocked with your face, too. The Huawei P20 Pro has a fingerprint sensor and is just about the only newly released phone where this sensor sits on the front of the phone – on the Galaxy S9+ it's on the back and the iPhone X doesn't have one at all, which allows its display to stretch all the way to the bottom of the phone. There's a bezel about 1cm deep at the base of the Huawei. Like the Galaxy S9+, the P20 Pro has a gloss back and matte edge, but the iPhone X goes for a shiny, stainless-steel perimeter. 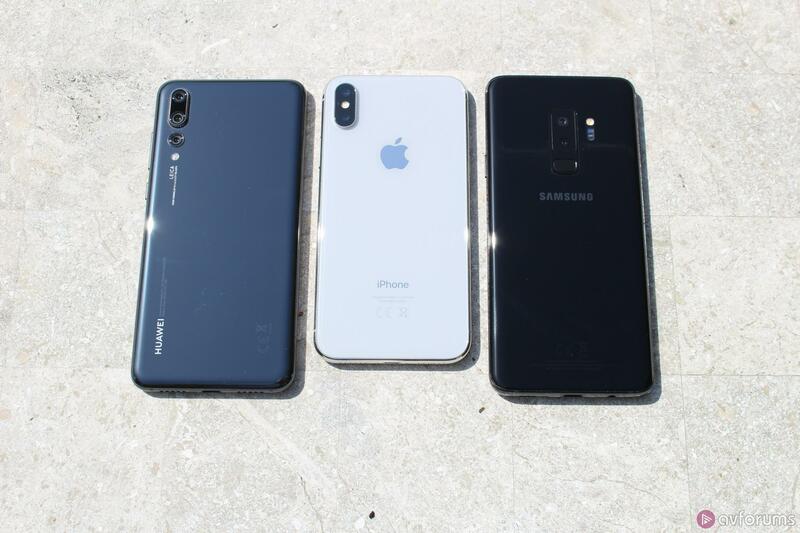 All three are sleek and classy, though it's true that the Apple and Samsung phones are particularly strong on build quality. Huawei's phone is solid and doesn't flex however you grip it, but it's just not quite as sumptuous as its rivals. There's no wireless charging capability on this phone, by the way, unlike the other two. Choose between a discreet but shiny black and a more noticeable blue finish. All three phones are the best designs their respective companies have yet released, though the iPhone X's styling has an opulence which gives it the edge. Huawei has a respectable 408 pixels per inch. The P20 Pro, like the iPhone X and Galaxy S9+, has a 6.1 OLED display (the smaller P20, by the way uses an LCD screen). It's bigger than the 5.8in display of the iPhone X and smaller than the 6.2in Galaxy S9+. Screen resolution is lower than its rivals, though still a respectable 408 pixels per inch (ppi) against 458ppi on Apple's phone and 529ppi on Samsung's. The truth is you only really need the super-high resolution of the Samsung if you're using the phone as a display in a VR headset, for instance. In normal use, it's hard if not impossible to see all those extra pixels. On all three phones, the displays are so sharp that even tiny writing is legible. One of the characteristics of OLED screens is they can have off-axis colour issues. This is noticeable on the iPhone X where the phone looks noticeably bluer as you turn it away from you, perhaps because of the advanced True Tone display technology which offers exceptional colour fidelity when seen straight on. Huawei's screen, and Samsung's, have very little off-axis issues. All three phones have haptic feedback which provides tactile confirmation when you've pressed the screen in certain circumstances. Apple's is the most advanced, offering extra menu choices, but all three use this capability well, and without the problem which plagued haptics in some earlier phones where each touch response made the phone jangle. Of the three phones, Samsung's is the most attractive with its bright, rich colours that edge towards saturation without going over the top. Huawei's is nearly as good, though some of the screen saver images are almost eye-searingly vivid. I'll be looking at the display notch a little later under Security but it's worth adding that Huawei has a feature the other phone with the notch, the iPhone X, lacks. Some users find the camera cutting into the traditional screen oblong unattractive. So Huawei has a setting which turns the display to the right and left of the notch as dark as possible so that it more or less blends in with the notch, thus hiding it. Of course, it means the display appears to be a little smaller, but Huawei was clever to include this as an option. This camera delivers stunning results. The camera is one of the most ground-breaking elements of the Huawei P20 Pro. 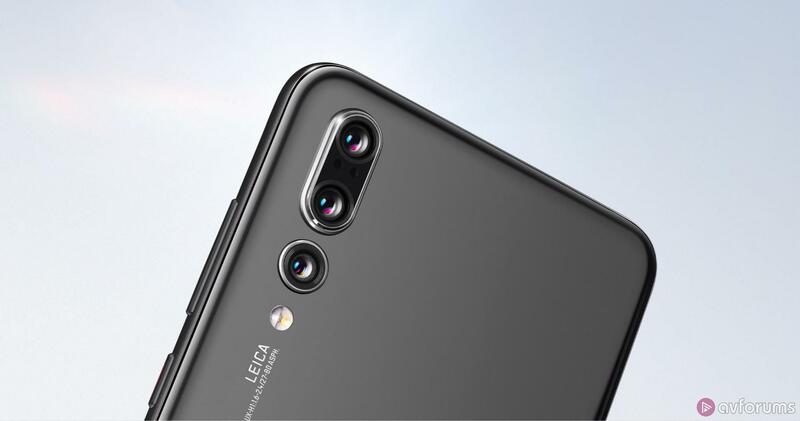 There are three rear sensors, all created in conjunction with Leica, with whom Huawei has had a relationship for a few years now, in the way Nokia does with Zeiss. Dual cameras, are nothing new and work well on the iPhone X and Samsung Galaxy S9+, for instance, to work as an effective optical zoom. Both those phones have wide-angle and telephoto lenses with one having twice the focal length of the other so switching between them delivers that zoom. But that's not how Huawei's using its multiple lenses. First of all there are the two sensors which are also found on the smaller Huawei P20. One is colour, one monochrome. Huawei has done this before, using the black-and-white sensor to pull light in quickly and ensure sharpness, with the colour sensor to provide colour fidelity. The monochrome sensor is 20MP – enough to mean that when you want to shoot an arty black-and-white shot that there's plenty enough resolution – and the colour sensor is a remarkable 40MP. The sensor is not large (1/ 1.7in) so squeezing all those pixels in means they are tiny, which can risk image noise. In fact, I didn't find this to be the case. This camera, paired with the advanced processor, delivers stunning results. The third camera is the telephoto lens, with a focal length of 3x the other two lenses, offering a great way to zoom right in. Note that the resolution here is much lower, 8MP, but still easily enough to shoot great images. The dual cameras on the iPhone X and Samsung Galaxy S9+ are both 12MP resolution, but pixel count is far from everything and in many circumstances the excellent cameras on both phones match Huawei for turning out striking, detailed, shots. Apple's image manipulation is particularly deft at creating rich, vibrant shots. There are deliberately few options on the iPhone X camera – Apple wants you to shoot as easily as possible and it'll make the best of the images. This can reduce manual control but thankfully Apple's engineers have exceptionally good taste and this shows in the photos. There's another innovation in this camera: Artificial Intelligence (AI). Huawei has emphasised the importance of AI capabilities, powered by what it calls a neural processing unit, since the Mate 10 Pro handset last year. Huawei makes its own processors (as do Apple and Samsung, though the latter also relies on Qualcomm chips in some territories). 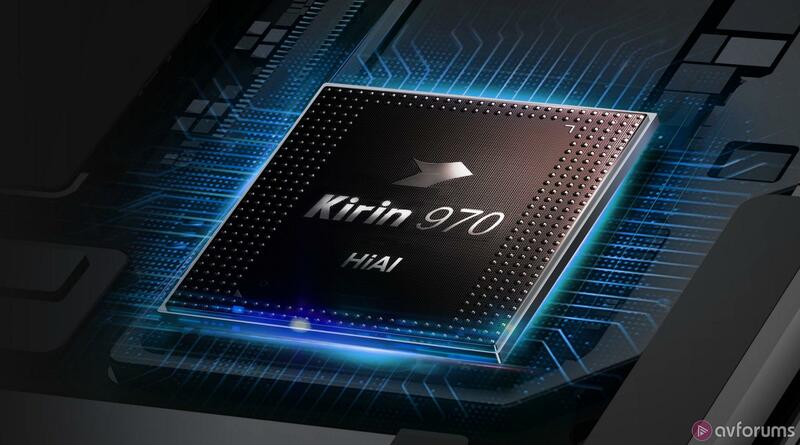 Anyway, AI chips are there to make machine learning easier, so that calculations that previously had to be done in the cloud can now be made on-device, offering greater speed and security. So far, one of the main functions of AI on a phone is to allow a camera to recognise certain situations and adjust camera settings accordingly. So, for instance, if you're the sort of person who likes to take photos of their food (I'm not passing judgement) then when the camera recognises that it's a plate in front of it, it boosts the colours on screen to make your meal look that bit more appetising. If the camera spots a plant, it suggests a Greenery setting to amplify the greens of the leaves. This works well – as I approached my dog, it knew this and the words 'Dog – see your pets as never before' appeared onscreen. Well, I'm not sure it achieved that, quite, but it certainly can take a decent pet photo – there are separate algorithms for feline features, cat-lovers will be glad to know. Low light can be the downfall of many a smartphone camera, delivering shots filled with grainy image noise as the camera desperately tries to manage with the poor light offered. Huawei is tremendous in near-darkness, picking up detail in shadows that may not be apparent to the human eye, even. Samsung is also good at brightening images in dark places, so that you can make out what's happening better. That's not to say that the iPhone X, which doesn't have the low-light chops of the other two, fails. I very often found the iPhone's low light shots were more atmospheric and captured something more akin to what I saw than the others did. There's also a Night mode on the Huawei P20 Pro which can shoot in darkness. Let's be clear, the Huawei cameras work beautifully and, like on the Samsung, there's a Pro mode for maximum control. Most people don't use that, though, which indicates that Apple's do-it-all-for-you approach may resonate with many who simply want a camera that's fast and simple to use. Video is not as good as stills, because although the quality is good, you can't shoot video in 4K resolution except at 30 frames per second. Like the Samsung, it shoots at 960 frames per second super slow motion but Samsung has a clever system to capture those high-speed moments and make them visible. Huawei's camera has speed and simplicity in the Photo mode and thanks to the AI capabilities it produces bright, dazzlingly sharp images with zero effort. The Leica lenses are crisp and accurate, arguably coming close to matching those of a standalone high-end camera. Add the instant shutter, useful telephoto lens and an extremely good portrait mode (where the subject is in sharp focus and the background artfully blurred) and the Huawei camera is very hard to beat. Facial recognition is pretty reliable. How safe is your phone from prying eyes? After all, not only does it have your photos, emails, address book and other personal stuff, it's probably the way you pay with stuff, so it needs to be secure. On the other hand, do you really want to type in a four- or six-digit PIN every time you want to open it? The security-convenience balance is best met on the iPhone X with the amazingly reliable Face ID which works with your specs (and some sunglasses) on or off, in darkness and whether you've shaved or not. Apple says the chances of spoofing Face ID (unless you're a twin) is one in a million, while fingerprint sensors only offer a 50,000 to one chance of being overcome. That wide notch on the iPhone X has a huge amount of tech squeezed in. The smaller notch on the Huawei P20 Pro is home to less in the way of innovations, though the selfie camera is 24MP. But because of that, Huawei warns that the facial recognition is less secure than a passcode. I found it to be pretty reliable. It never thought anyone else was me and it mostly recognised me. It failed less than Samsung's facial recognition which is still very good but not as superb as Huawei and much less effective than Apple. It's pretty quick, and it has one advantage over the iPhone X: it'll unlock the phone and then open the home screen. Apple requires you to swipe up on the lock screen when the phone is unlocked to reveal your home screen beneath. The fingerprint sensor is also very quick and has the great advantage that it is accessible when the phone is lying on the table, say. This is a use case where Huawei is the best on test: with the iPhone X if you want to unlock without picking up the handset, to see the time, say, you must tap the screen and then ensure you are in just the right position, leaning further forward than you expect to satisfy Face ID. Huawei has its own special version of Android. Huawei uses AI to manage performance, too, so that if it recognises that you habitually use your phone in the morning a lot and not much in the afternoon (siesta time, perhaps?) it'll learn this. If your behaviour was the opposite and teatime was your big phone-usage period, it'll throttle performance earlier in the day to ensure you have plenty of battery for the afternoon. That's the theory but I have to say I didn't find the P20 Pro to be ever less than blazing-fast in its performance. 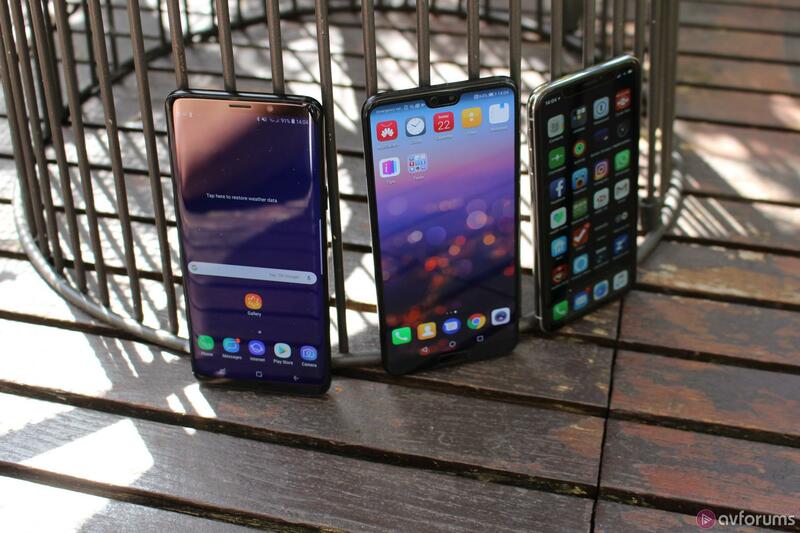 All three of the phones here are very speedy and responsive, but the 6GB of RAM on the P20 Pro, matching that of the Samsung, means this phone really flies. For all that, though the iPhone X has less RAM, Apple's phone is still blisteringly fast. Huawei has its own special version of Android which takes a little getting used to. For a start, it doesn't use the Apps Tray, so all your apps are on your phone's home screen or in folders which are. This isn't necessarily a bad thing – the iPhone OS is the same in that regard – but it's different from stock Android. And Huawei's own take, called EMUI is not as good as the purer versions of Android. I mean, it used to be really atrocious and has come on leaps and bounds but it's just not as skilful as on the Google Pixel 2, for instance. Samsung's take on Android is also better than Huawei's, especially since it now auto-installs much less bloatware than it used to. Huawei also uses AI to monitor the phone's performance with its 'Born Fast, Stay Fast' system designed to ensure that the handset stays fast and responsive throughout its life. Obviously, I haven’t been able to try that at this stage in the cycle. One other thing to mention: like the Apple iPhone X and indeed almost every new flagship smartphone, there's no headphone socket on the Huawei P20 Pro. Samsung is one of very few to still have the headphone jack on its phones, including the Galaxy S9+ and it's becoming one of the ways it differentiates itself from the competition now – who'd have thought that would be the case even three years ago? All three of these flagship phones have good battery life, enough to get you through a full day. The iPhone X is an especially noticeable improvement on the iPhone 7's battery life, for instance. But the Huawei seems to have the edge, thanks to the whopping 4,000mAh battery inside. Incidentally, although previously Huawei has often concentrated on creating feature-packed phones at low prices, this is not a budget phone. Although it's cheaper than the £999 iPhone X, and the £869 you need to shell out for the Galaxy S9+, the price (£799) is higher than previous Huawei blowers. The Huawei P20 Pro is, as you might expect, the best phone Huawei has built, with a design that is almost as chic as the iPhone X, especially in its blue finish. A fingerprint sensor beneath the vivid, bright 6.1in display means the P20 Pro lacks the all-screen front of the iPhone X, though it's not a deal-breaker, I'd say. But if you're choosing this phone, it may be that for the first time you're not coming to Huawei principally for its competitive price. That's not to say the P20 Pro isn't good value for all that's contained in it, but this is the first time that Huawei's price is in the same ballpark as Samsung's. Instead of the price, it's likely the thing that'll draw you to Huawei's latest is the remarkable camera set-up. Three on the back, one on the front, with great automatic exposures tailored to what you're shooting and an exceptional night mode. Not to mention the Pro mode. Could this phone replace a DSLR camera? Not really. A DSLR excels because of its perfect ergonomics, huge photographic sensor, zoom lenses and more. But for a camera in your pocket, it's sensational, matching or even beating the iPhone X and Samsung Galaxy S9+. And, of course, it does much more than any standalone camera, such as playing music, video, working as a satnav, electronic wallet and more. It even makes phone calls. There are very few downsides here. The Huawei spin on Android isn't the most attractive but it's better than it was. There's no wireless charging on this phone, though the big battery may make up for this. So, which should you choose from this trio of flagships? For pure design, the iPhone X wins out and no Android phone quite matches the seamless intuitiveness of Apple's operating system. The Samsung Galaxy S9+ has a great camera, Samsung's distinctive sloping-edged display and nifty extras like a display that shows the time even in standby and it's the only phone here with expandable memory as the other two lack a memory card slot. Write your Huawei P20 Pro Mobile Phone review.